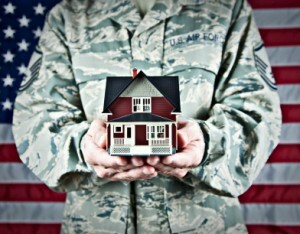 VA Home > News > What’s So Great About VA Loans? What’s So Great About VA Loans? In addition to this, VA loans limit the buyers closing costs. Things like escrow fees and photo inspection fees are not allowed to be paid for by the buyer. The seller can pay for these. In fact the seller will usually agree to pay for all of the buyers closing costs (if the deal is fair to the seller). For example, if you live in San Diego and you get a VA loan, you can install a tank-less water heater in your home. By adding the installation to the loan amount, you may be able to receive California State tax incentives, San Diego County tax incentives and federal tax incentives for residential energy efficiency in conjunction with your San Diego VA mortgage. Depending on the over all property condition and land rights, you can also use your VA loan to buy a manufactured home and land. To get more information on possible uses for your San Diego VA loans, consult with a VA Counselor before you submit your VA house loan application.